For Amy Howard, the novels of Jeffrey Almoner are a refuge from the uncertainty of life. His books are full of the questions—about the nature of justice, the necessity of suffering, and the meaning of the past—that occupy her thoughts, but that no else seems interested in asking or able to answer. When she and two friends make a pilgrimage to Almoner’s house, she expects the world-famous author to be tall, dark, and mysterious, and to find in him the mirror to her soul. Instead, the encounter is too brief and awkward for Amy to even introduce herself. Back at home, she pours out everything she had hoped to say in a letter, sharing with Almoner her belief that, despite the difference in their ages, they are spiritually connected. His surprisingly personal response marks the beginning of an intense relationship that soon progresses from epistolary flirtation to secret meetings in Mississippi bus stations, fancy Memphis hotels, and New York publishing houses. For the married Almoner, Amy’s youthful beauty and devotion are irresistible. For Amy, the great artist is a source of wisdom and experience whose support gives her the courage to pursue her dream of becoming a writer. As their love affair moves from its exhilarating beginning to its inevitable, heartrending conclusion, Amy discovers that finding the answers to her questions will be more painful than she ever thought possible. 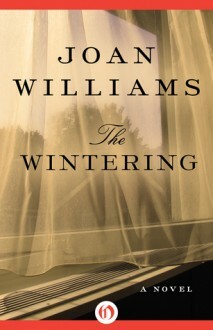 The Wintering is a bittersweet coming-of-age story, an exquisite account of a beautiful yet fleeting romance, and one of the most intimate portraits of William Faulkner ever written. Included in this ebook is “Twenty Will Not Come Again,” Joan Williams’s honest and revealing essay, first published in the Atlantic Monthly, on the subject of her relationship with one of the twentieth century’s greatest artists.